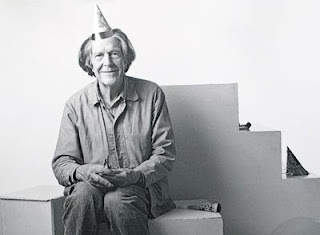 For John Cage's 100th birthday, I updated this playlist from last year. Get the "complete" chronological Cage catalogue in one Spotify playlist: John Cage - A Chronological Collection (544 tracks, total time: 69 hours). Ctrl (CMD)+G to browse in album view. More Cage links: For John Cage by Radio Rambler; Searching For Silence, and The John Cage Century by Alex Ross; Silence And Sound: Five Ways Of Understanding John Cage on NPR Music; Quiet Riot, Seth Colter Walls's review of the latest Cage biography, plus his "20-track Spotify playlist of John Cage's beauty + noise". Nice! I've been getting into Lutoslawski a lot lately. Are you going to do him at some point?